Photos © Todd Klein, from 2009 and 2003. 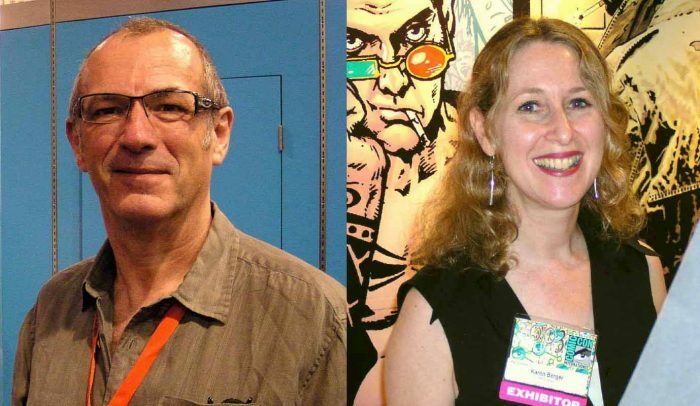 Congratulations to Dave Gibbons and Karen Berger for their Eisner Hall of Fame awards. Friends and colleagues for decades, talented creators and excellent people. Well deserved! Here’s a link to my article about working with Dave Gibbons in the early days. This entry was posted in Con Reports, Family and Friends on July 22, 2018 by Todd.